The Reseller bills their customers directly, with discretion to charge whatever they deem appropriate for the LuxSci services and their value added for management and other assistance. Unlike our Affiliate program, which earns commissions for hands off referrals of new customers, our Reseller program earns discounts for hands on management of your customers. After many years of Reseller success and feedback, LuxSci has significantly revised its Reseller program to be both simpler and more powerful. Existing Customers: If you have an existing non-Reseller LuxSci account, go to your “Account > Administration > Upgrades” page and select the “Reseller” upgrade request. You need to be serving at least 3 customers in your account (e.g. through 3 unrelated email or web hosting domains, 3 unrelated SecureForm configurations, etc.). This is a subjective determination to be made by LuxSci’s Billing team. Within each Billing statement that you receive going forward, you will receive credits towards your LuxSci services … the larger your Reseller account, the larger the credit – up to 20% of your bill. Request to be a Reseller. Become eligible by meeting our Reseller requirements. Pay regular prices, but get credits on services purchased towards current and future LuxSci services, saving you up to 20% on your bill. When Billing statements are issued (in your Reseller account and any other properly linked LuxSci accounts that your Reseller account manages), a Reseller reward credit will be included. How much is this? We look at each line item in the Billing statement and see what it is for and how much was charged. For some items, you get a “Full Credit”; for others you get a “Half Credit”. Some items generate no credit … these are one-off paid hourly work by LuxSci staff or contractors. We differentiate Full and Half Credit items due to the different costs involved in various services sold by LuxSci — we have more margin on the Full Credit items to give you more credit than we do on Half Credit items. Example: You have $10,000 in Monthly Value for your large Reseller account. You thus have a 20% Credit Percentage. If your have purchased something for $100/mo, you would get $20/mo credit if that item is “Full Credit” or $10/mo if that item is “Half Credit”. The effective cost to you us thus only $80 or $90/mo, depending on what the item is. You are of course free to charge whatever is appropriate to your customers — so your margins increase with the size of your Reseller account. See our Reseller Rate Sheet for a breakdown of all of our prices and your credits based on Reseller Credit Percentage. It is often useful for a Reseller to have multiple LuxSci accounts, e.g. 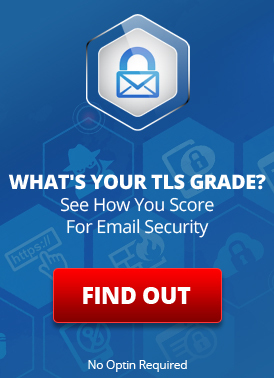 A regular email hosting account (which may be the main/master Reseller account). Linking being requested in the “master Reseller” account and the other accounts. The main administrator of the master Reseller account being given permission to manage all of the linked accounts from his single sign-on to his master account. Optionally, linking billing so that the payment for all of the accounts are made by the master account. There is only one actual Reseller account – the “master” one. Other accounts may be linked to it for simplified administration and billing. The Monthly Value of all linked accounts determines the Credit Percentage applied to charges of all linked accounts. If you would like to link accounts, please make Support Tickets in each account asking that they be linked and specifying that account should be the master. Some Resellers also find it useful to refer some customers to LuxSci to become direct LuxSci customers (e.g. instead of being managed by the Reseller). In such cases, the Reseller can also be an Affiliate and get commissions on the referred accounts for the duration of the time that these referrals remain with LuxSci. The Monthly Value of your Reseller account and all the non-Reseller customers that you have referred to LuxSci via the Affiliate program are added together. This total Monthly Value is used to determine Reseller Credit Percentage and your Affiliate Commission Percentage. Thus, each program benefits the other. You can choose to have the commissions from your Affiliate account directly deposited into your Reseller account as credits…. so your Affiliate referrals serve to effectively decrease the cost of your Reseller account. How do you link your Reseller and Affiliate accounts? Make a Support Ticket in your Reseller account requesting that these account be linked. LuxSci Billing will review the accounts and link them once it is determined that both belong to the same organization. Resellers received up-front discounts on the price of selected services. Only services in the “Full Credit” list, above, received any discounts. Resellers needed to inform LuxSci when they crossed a threshold allowing them to earn larger discounts. Changes needed to be manually made. Payment as a Credit: Resellers no longer receive up-front discounts. They now pay regular prices, but receive automatic credits in their Billing statements. Credits on More Services: Credits now granted on services in the “Half Credit” list above. Automatic: Your Credit Percentage is now determined automatically and changes automatically (up or down) as appropriate. Credits for Linked Accounts: Resellers with multiple linked accounts now get Reseller credits in all such accounts. Affiliates: Resellers with Affiliate accounts are now rewarded on both the Affiliate and Reseller side based on their total resales/referrals to LuxSci. No Basic Support: Basic Support is explicitly not supported for Reseller accounts. They continue to receive their up-front discounts on services purchased. Pricing for already-purchased items will not change. Up front discounts will now include up-front Half-Discounts on the items in the Half-Credit list if those items are new upgrades (e.g. if you buy it now or in the future, you will receive it at a lower cost than if you had purchased it previously). They cannot increase their current “Discount Percentage”; Old style Resellers need to be promoted to the new style of Reseller in order to get more savings. Removing any “special offer” codes giving discounted pricing. Promoting accounts with “Basic Support” to “Premium Support”, as Basic support is no longer supported in Reseller accounts. Apply the above changes to all other accounts linked to your Reseller account. These contract/pricing changes are required to enable granting of automatic credits on services purchased. This entry was posted on Monday, March 11th, 2013 at 2:01 pm	and is filed under Affiliates & Resellers, Business Solutions. You can skip to the end and leave a response. Pinging is currently not allowed.